Married and originally from the UK, Hassan Bal has lived in Ireland for more than decade. A MAN ARRESTED as part of an investigation into the alleged funding of international terrorism was remanded in custody when he appeared at Waterford district court this morning. Hassan Bal (25), with an address at O’Connell Street in Waterford, was arrested in the city before 10am on Thursday morning and questioned throughout the day at Waterford garda station. He is charged with two offences under the Criminal Justice (Terrorist Offences) Act of 2005. Married and originally from the UK, Bal has lived in Ireland for more than decade and in the Waterford area for most of that time. He holds an Irish passport, worked as a trainee electrician and lived in rented accommodation in the city centre. He is charged with providing funding for a foreign terrorist group on 2 October 2015, and attempting to provide funding to a foreign terrorist group on 23 October 2015. The charges were placed before him in the early hours of this morning at the garda station in Ballybricken, Waterford. He was later taken to a sitting of Waterford District Court at the court service’s temporary facility at Grace Dieu, just outside the city. 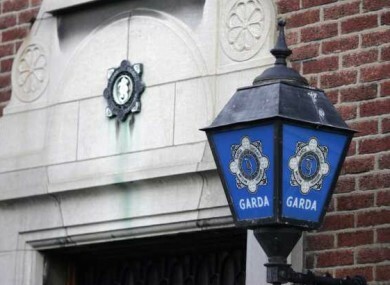 Wearing a dark grey t-shirt and black jacket, he sat alone in the courtroom, close to a number of gardaí, while waiting for the proceedings to take place. A number of senior gardaí from the area, including Superintendent Chris Delaney, Inspector Anthony Dineen and Detective Inspector Anthony Pettit, were also in court for the hearing. Evidence of arrest, charge and caution was given by Detective Inspector Anthony Pettit and Detective Sergeant Donal Donohue. The court heard the accused made no reply to either charge. Judge Kevin Staunton was told that there was no language difficulty. The accused was not called upon to speak during the hearing. Inspector Anthony Dineen applied to the court for a remand in custody and there was no objection from the accused’s solicitor, Pat Newell, who said they were reserving their position in relation to bail. Judge Staunton remanded the accused in custody to appear again before Waterford district court next Tuesday. He granted free legal aid upon application by Newell. Following the arrest of Bal which came as part of a major investigation led by gardaí in Waterford, linked to a wider UK-based and international intelligence probe, officers carried out a search of the rented property in which the suspect was living. The operation was carried out by local gardaí, members of the Garda Technical Bureau and supported by armed gardaí from the response units. A 22-year-old woman, also from the UK originally and who was arrested at the same time for questioning by gardaí during Thursday was released without charge just after 1.40am this morning. A file in relation to her arrest is being prepared for the DPP. Email “Trainee electrician, 25, charged with providing funding to a foreign terrorist group”. Feedback on “Trainee electrician, 25, charged with providing funding to a foreign terrorist group”.